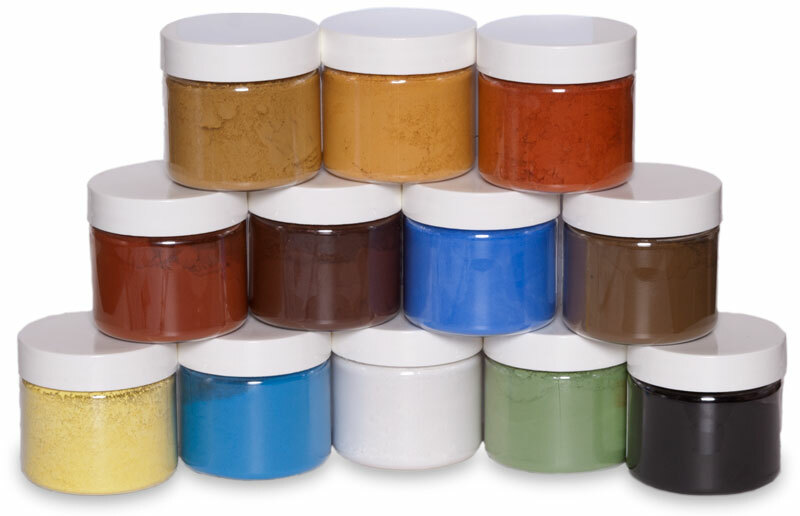 All of our pigment colors are suitable for use in oil paint, whether working from the palette or storing for later use. Our Muller Paint Making Set is a helpful tool if larger quantities are made for storage. For Artist's wishing to experiment with using pigments, we have special Ocher and Pigment collections in our Kits and Sets. 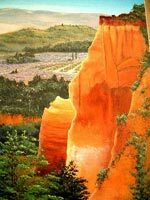 The most basic recipe for artist oil paints involves dry pigment and linseed oil. On a glass or enamel surface, place a pile of dry pigment (a tablespoon or two to start). Add by drops, Refined Linseed Oil—a little goes a long way. 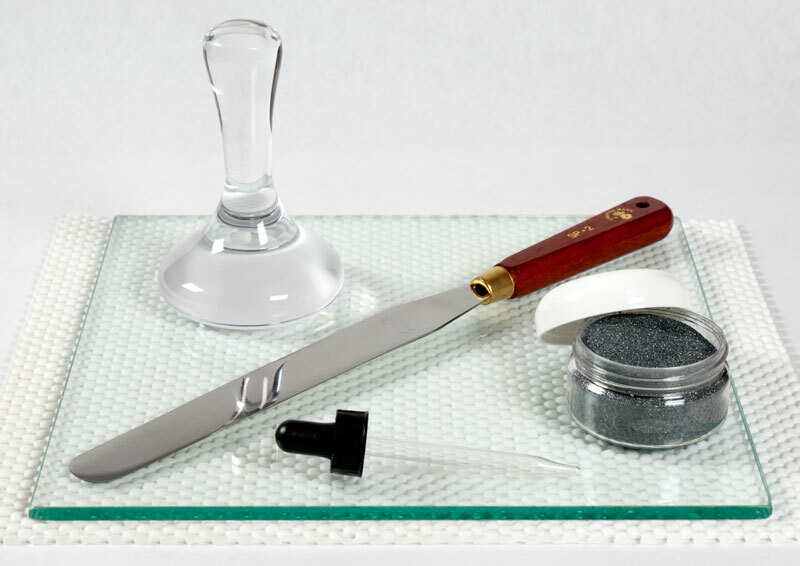 Use a sturdy rounded, flat palette knife to work the oil into the pigment until it is the proper consistency, continually bringing the outside of the paste towards the center. This paint is then used immediately from your palette. 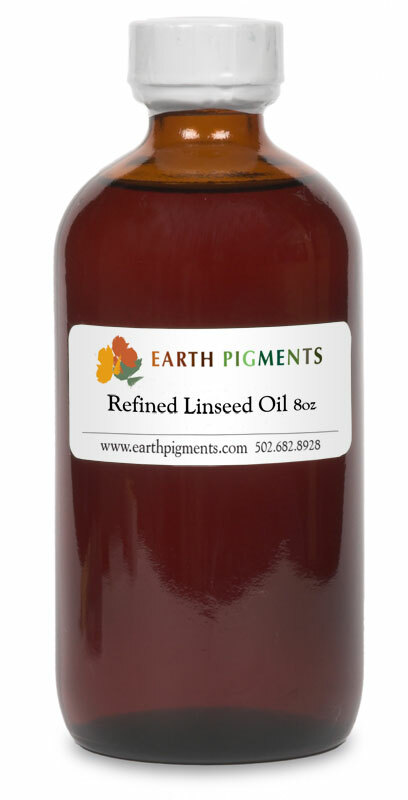 All our pigments are compatible with Linseed Oil mediums. Our Walnut Oil can also be used to create paints, especially for lighter colors as it yellows over time less than Linseed. If you intend to store your paint for use over the course of several days or weeks, this Simple Oil Vehicle recipe from The Painter's Handbook can be used. Measure 240 ml (8 fluld ounces) oil into the top of a double boiler and heat very gently on a hot plate. Into the heating oil break 28g (1 ounce) of White Beeswax. Heat just until the wax melts completely, stirring to homogenize. Do not overheat, since this will cause the mixture to darken. Remove from the heat and allow it to cool. To the cooled oil slowly add, while stirring, 720 ml (24 fluid ounces) more oil, to bring the total volume up to 980 ml (1 quart).The wax addition totals about 2 percent. Allow the mixture to homogenize for a day, and store it in a well-stoppered colored glass container. It is enough to make about 25 standard studio-size tubes of oil paint. If the least amount of oil is used to make the paint, it is possible to get even more tubes out of this volume of oil. If air is kept out of the storage bottle, this grinding oil should keep for a few weeks; if you notice a skin forming on the surface of the oil, it has begun to dry and must be discarded. One way to keep air out of the mixture: Transfer the oil to smaller containers as you use it up. ¹From The Painter's Handbook by Mark David Gottsegen. Published by Watson-Guptill Publications, a division of VNU Business Media. Reprinted with permission.